Thai Cooking Class, good fun and yummy!! 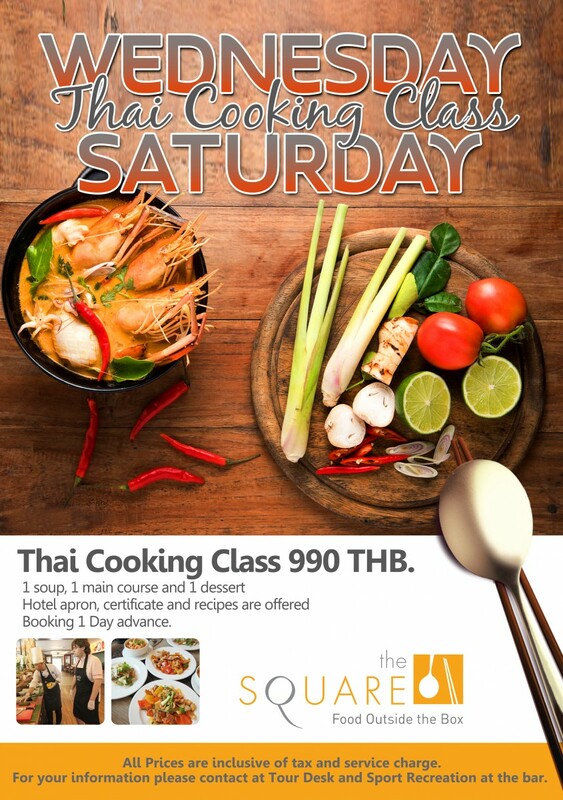 Only THB 990 / person to get your cooking skill of a Thai Favorite selected menu. 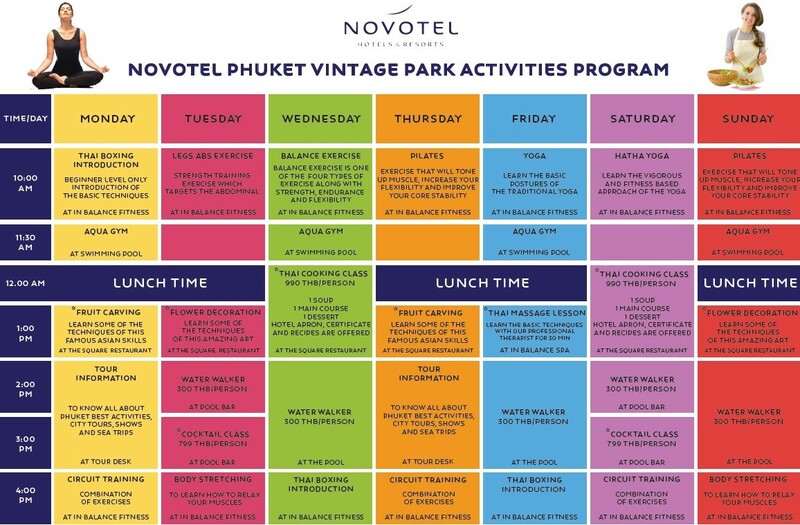 Beyond a Thai authentic dishes, you will get a certificate from Novotel, apron with our Novotel’s logo, recipes, and eat your own delicious cooking! Experience this with our Chef every Wednesday and Saturday!